Nader M Osman, Ali Al Sanosi. Bartter syndrome is a rare inherited defect in the thick ascending limb of the loop of Henle. It is characterized by low potassium levels (hypokalaemia), increased blood pH (alkalosis) and normal to low blood pressure. There are three types of Bartter syndrome: neonatal, the classic type and Gitelman syndrome. Nephropathic cystinosis is an autosomal recessive disorder characterized by accumulation of free cystine in lysosomes due to disorder of lysosomal transport that can lead to end stage renal failure within 10 years and multiorgan impairment. We report a 5 year 9 month old child with Bartter syndrome associated with nephropathic cystinosis, hypothyroidism and rickets. Hitherto, only a handful of similar cases have been reported in the literature. Osman NM, Sanosi AA. Bartter syndrome associated with nephropathic cystinosis.. Sudan J Paed. 2016; 16(2): 93-98. Osman NM, Sanosi AA. Bartter syndrome associated with nephropathic cystinosis.. http://www.sudanjp.com/?mno=280617 [Access: April 22, 2019]. Osman NM, Sanosi AA. Bartter syndrome associated with nephropathic cystinosis.. Sudan J Paed. (2016), [cited April 22, 2019]; 16(2): 93-98. Osman, N. M. & Sanosi, . A. A. (2016) Bartter syndrome associated with nephropathic cystinosis.. Sudan J Paed, 16 (2), 93-98. Osman, Nader M, and Ali Al Sanosi. 2016. Bartter syndrome associated with nephropathic cystinosis.. Sudanese Journal of Paediatrics, 16 (2), 93-98. Osman, Nader M, and Ali Al Sanosi. "Bartter syndrome associated with nephropathic cystinosis.." Sudanese Journal of Paediatrics 16 (2016), 93-98. Osman, Nader M, and Ali Al Sanosi. 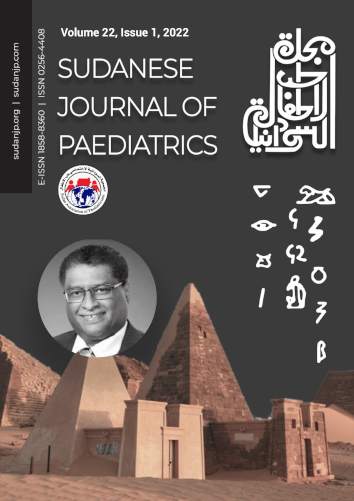 "Bartter syndrome associated with nephropathic cystinosis.." Sudanese Journal of Paediatrics 16.2 (2016), 93-98. Print. Osman, N. M. & Sanosi, . A. A. (2016) Bartter syndrome associated with nephropathic cystinosis.. Sudanese Journal of Paediatrics, 16 (2), 93-98. Sudan J Paed. Year: 2016, Volume: 16, Issue: 2: 93-98.